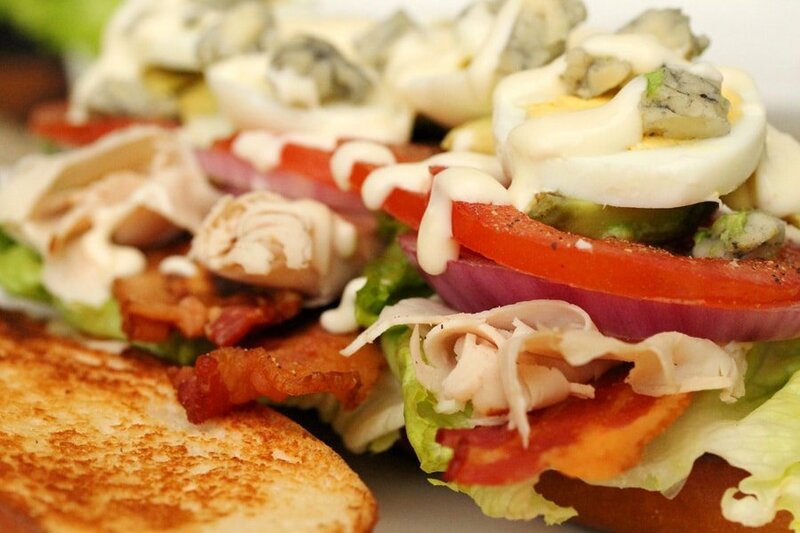 Recently I was at a restaurant that had a Turkey Cobb Salad Sandwich on their menu. 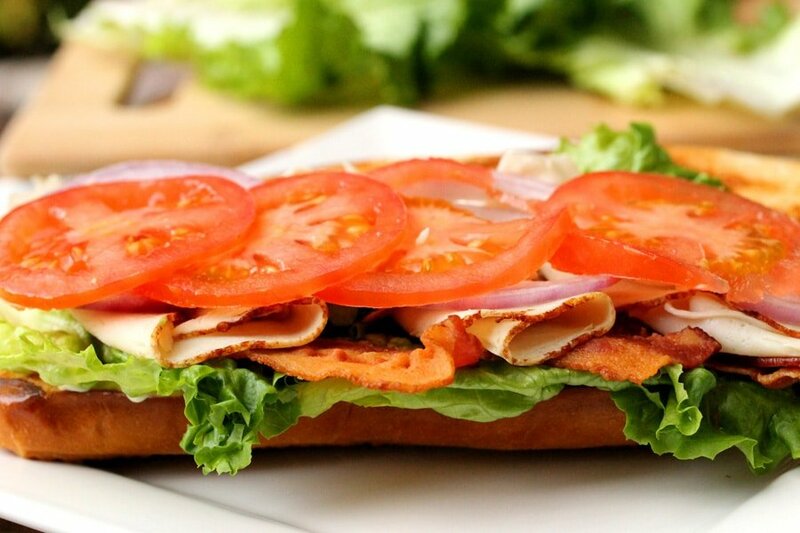 Making a salad into a sandwich sounded like such a fun idea that I just had to make my own version of it. 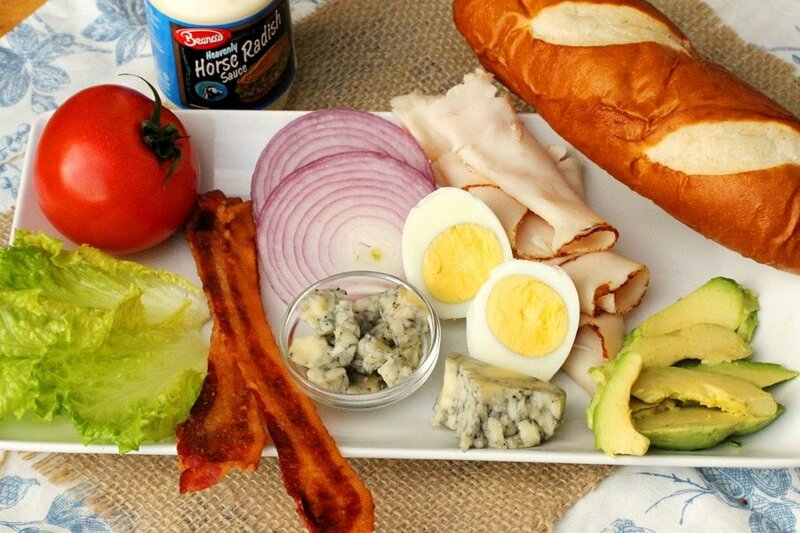 This recipe is made with a large pretzel roll which tastes so delicious with all of the Cobb Salad fixins such as bacon, hard boiled egg, tomato and avocado. 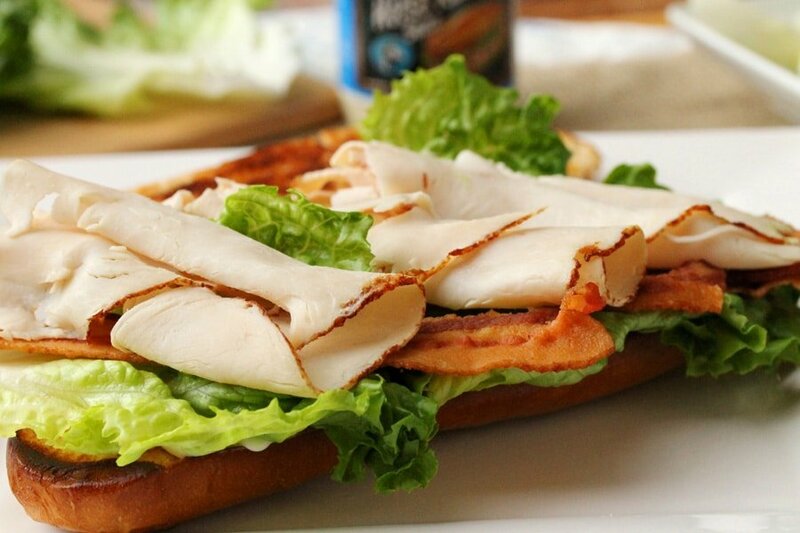 Oh, and sliced turkey too! 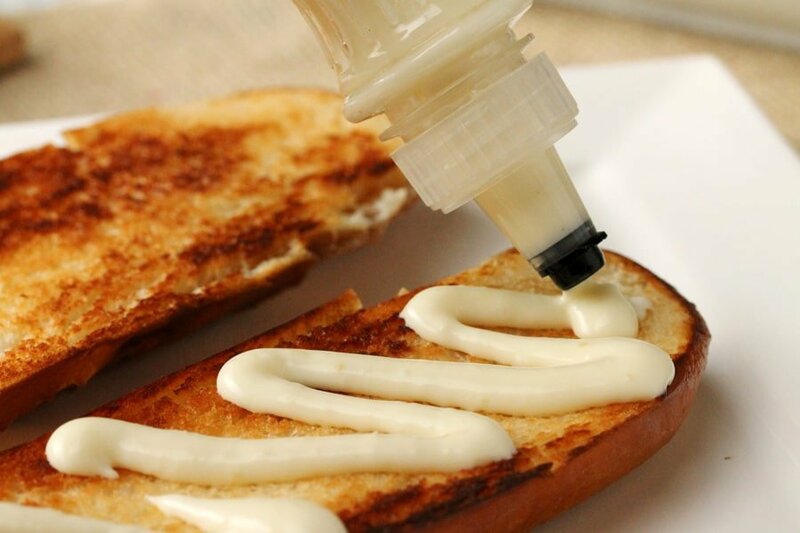 You can use your favorite salad dressing, or even good old mayonnaise and/or mustard. I used a horseradish sauce that I found in the deli at the grocery store and it was super delish. 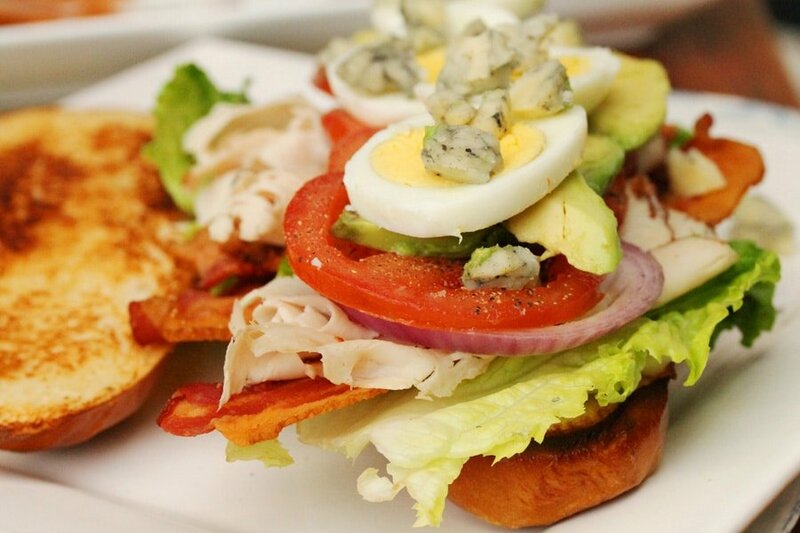 The combination of flavors and textures is so delicious and it tastes just like a Cobb Salad too! Cook the bacon until it’s nice and crispy. 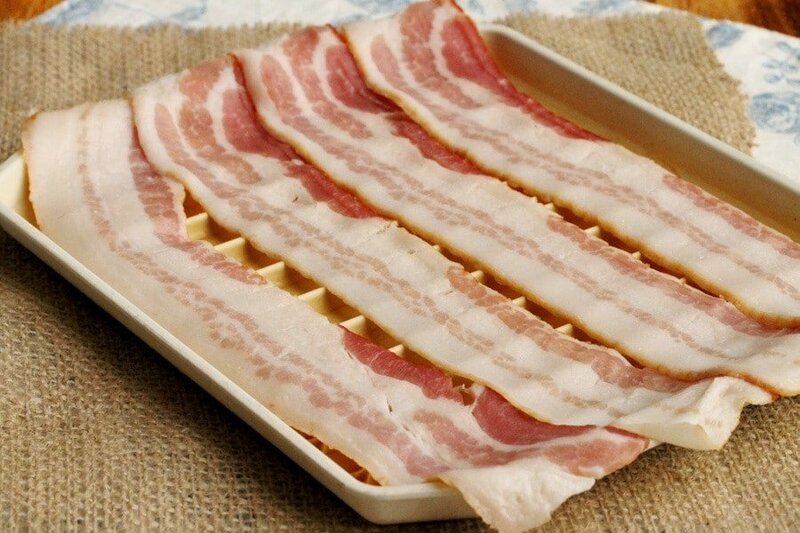 I like to use this microwave bacon cooking tray. 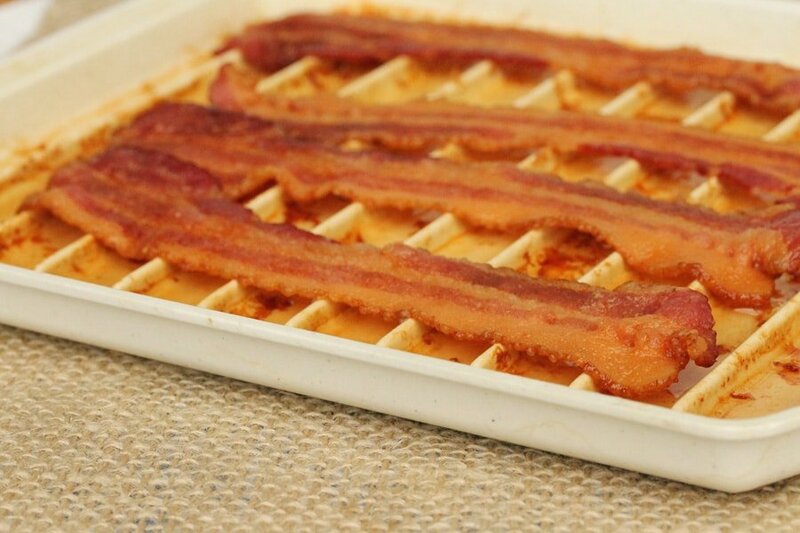 All of the grease falls below the strips of bacon and the bacon gets super crispy. 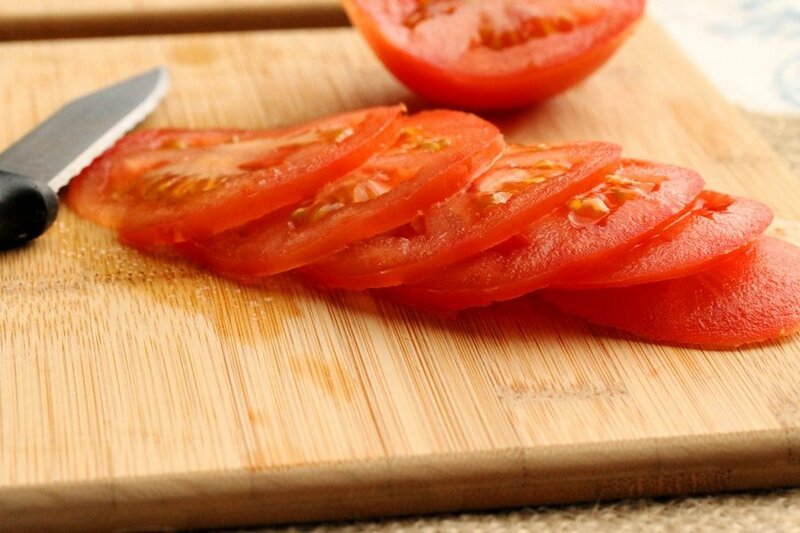 Slice the tomato into ½ inch or so thick slices. 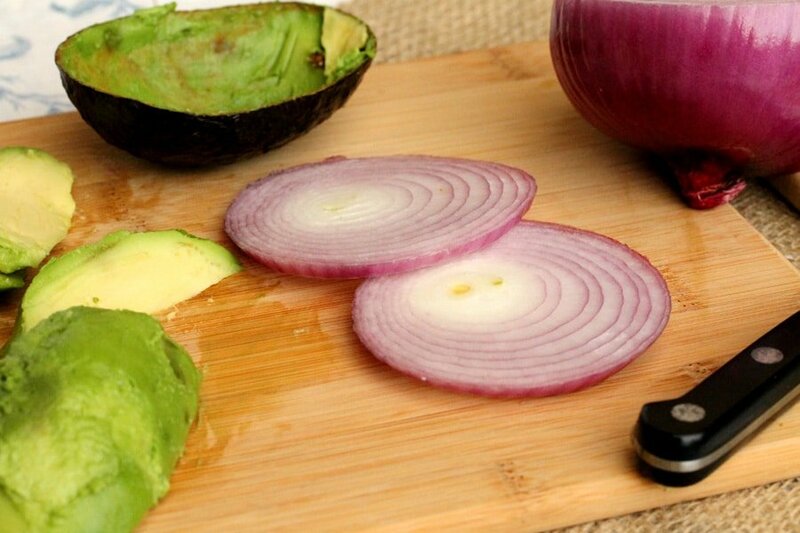 Then, slice the onion and avocado. 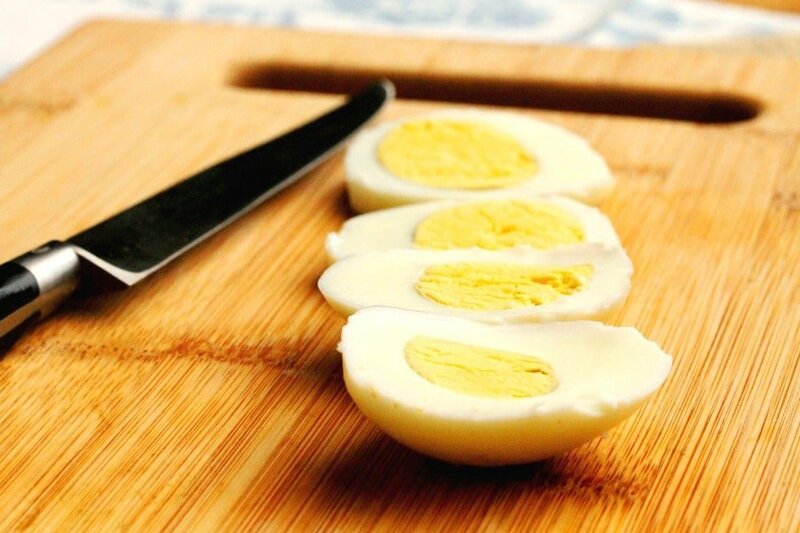 Next, slice the eggs into 4 pieces. 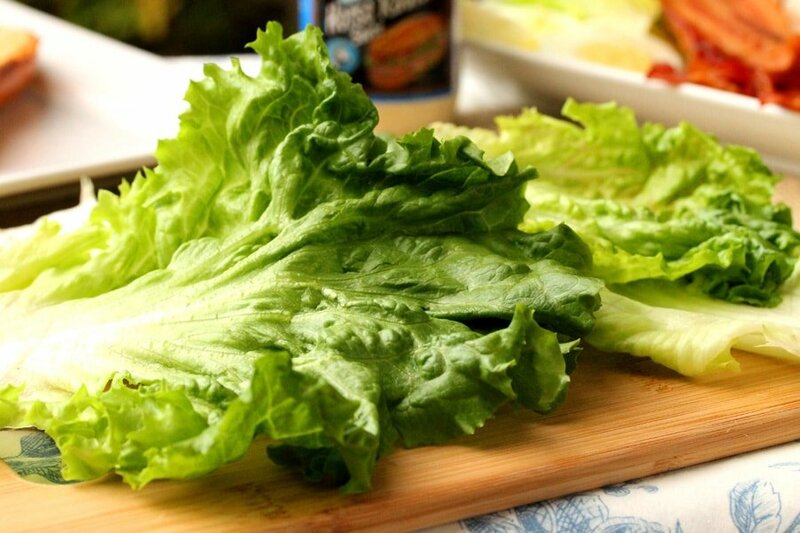 Pick 4 medium size leaves from a bunch of green leaf lettuce and set aside along with the other Cobb Salad ingredients while you prep the rolls. Feel free to substitute with another type of lettuce. 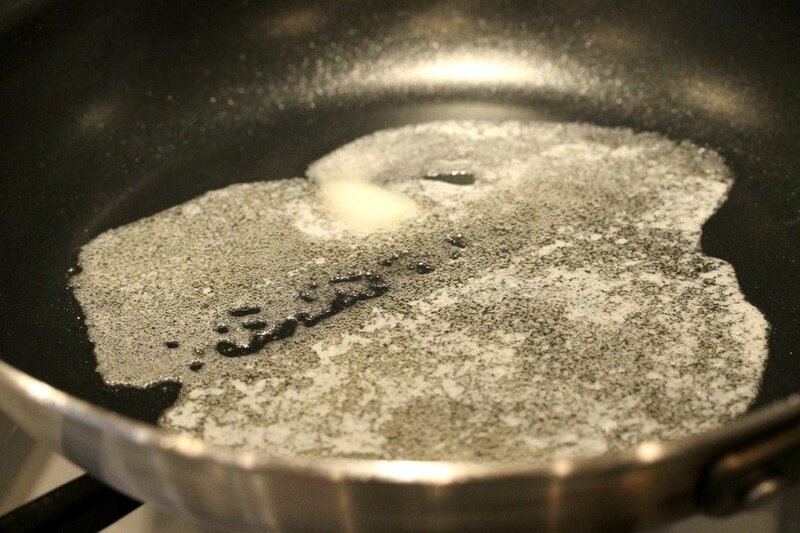 Add the butter to a large skillet. As soon as the butter melts, slice each roll in half and lay them with the flat side down on to the butter. Keep the bread face side down until it toasts and turns a golden brown color. After the rolls are toasted, lay them on a plate flat side up. 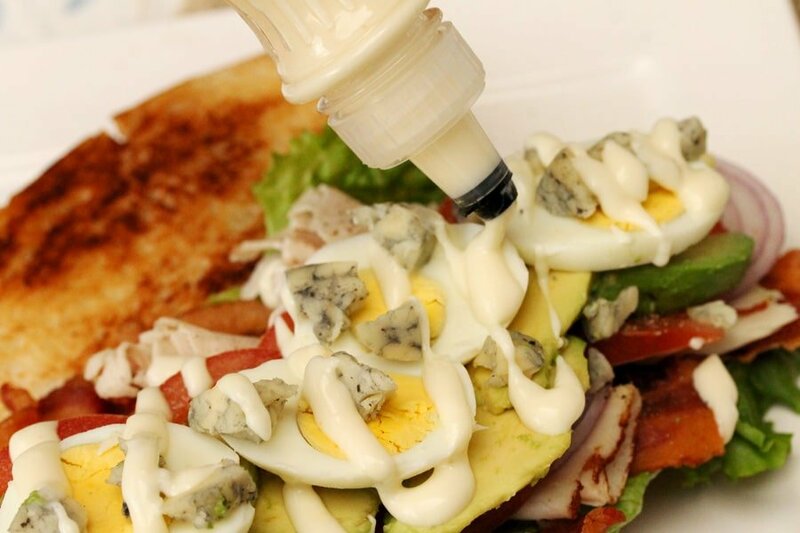 Add your favorite dressing on top of the bread. Next lay the lettuce leaves on top of the dressing. And about 3 dashes of pepper on the tomatoes. 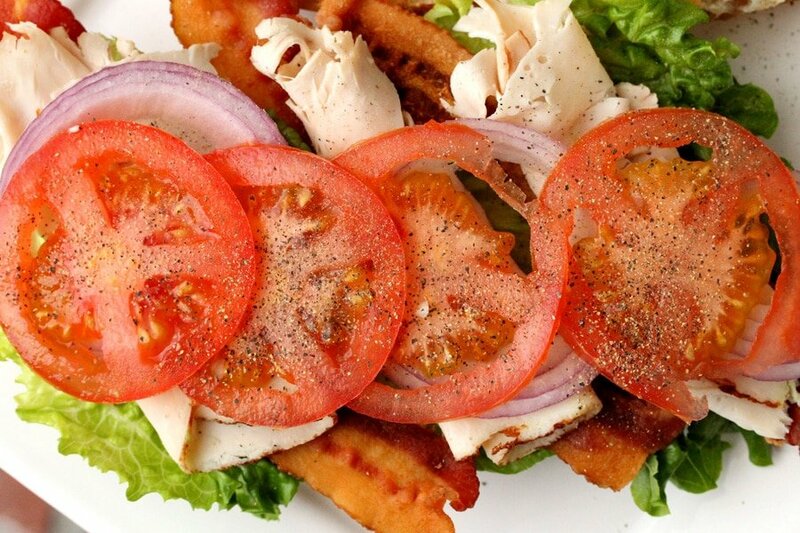 ok…maybe one more dash of pepper. I love it when I find eggs at a great price. It’s amazing how expensive just one dozen eggs can be sometimes, especially when compared to the sale price of an 18 count carton. And the crumbled blue cheese. 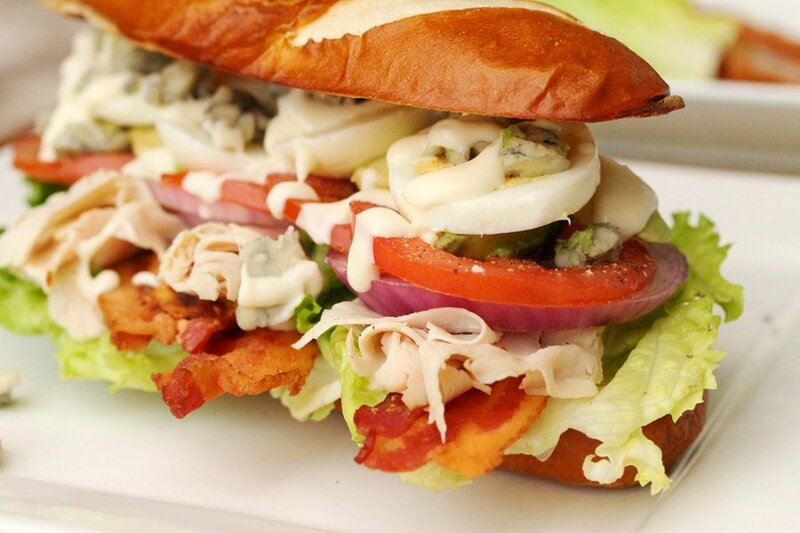 Blue cheese is the perfect touch for this sandwich. Top with more of the dressing. Add the top half of the roll. What a fun way to eat a salad! 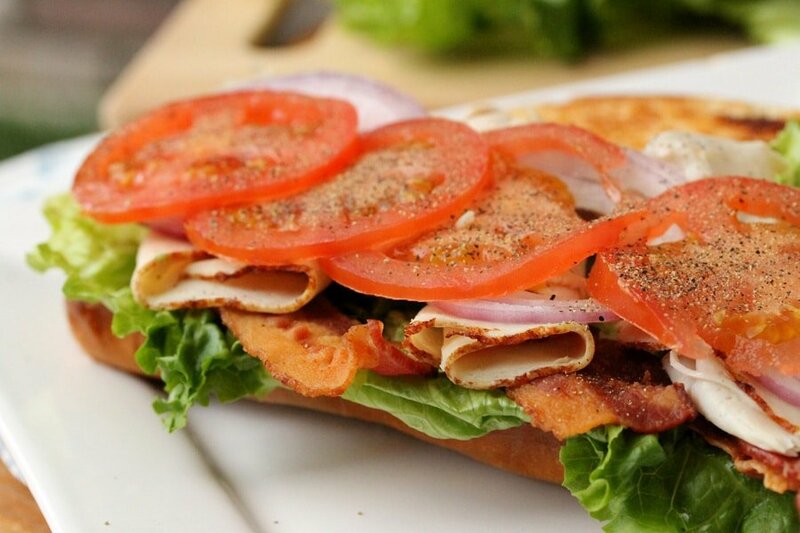 A big sandwich with big flavor. 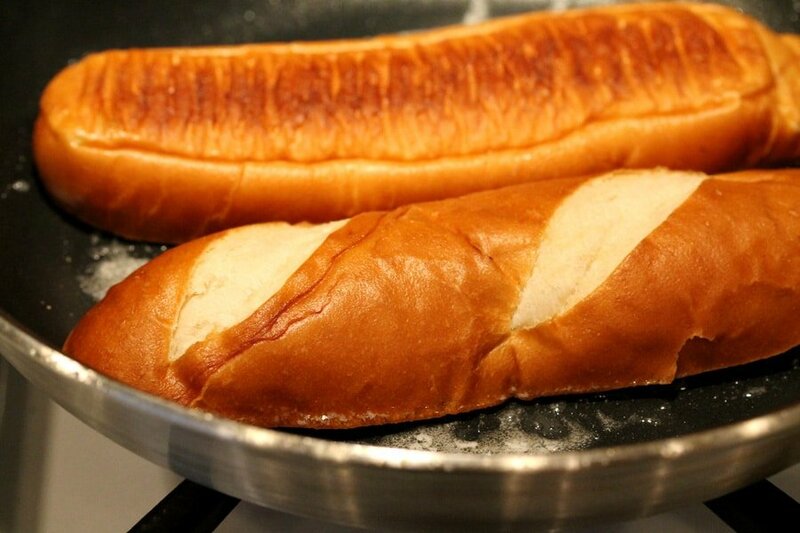 Toasting the Sandwich Rolls - To a large skillet, add butter. As soon as the butter melts, lay the rolls cut-side down on the butter. 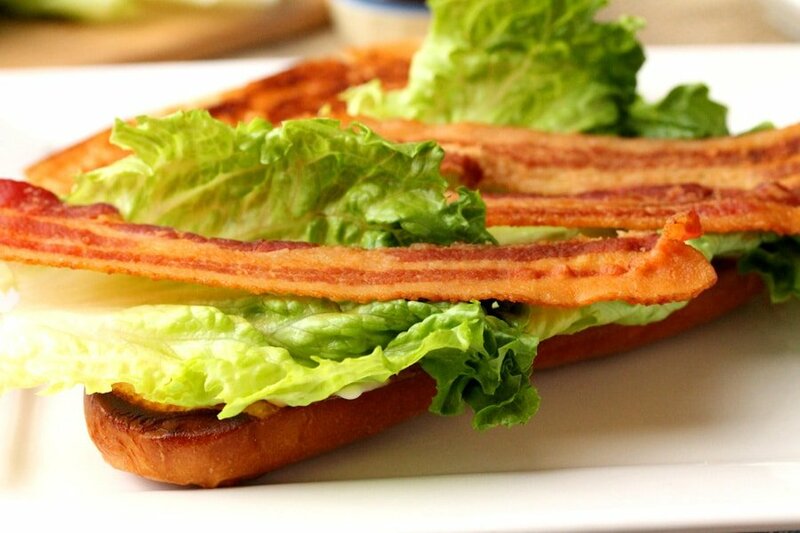 Keep the bread cut-side down until it toasts and turns a golden brown color. 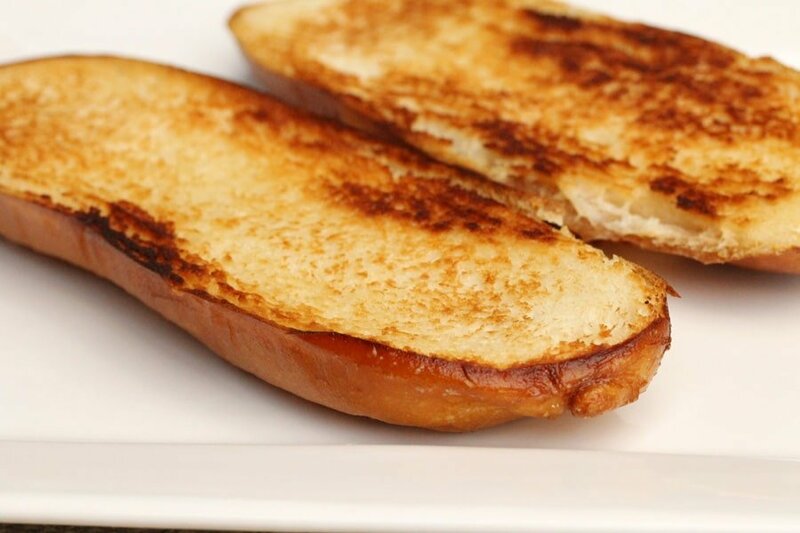 For Serving - After the rolls are toasted, lay them on a serving plate toasted-side up. 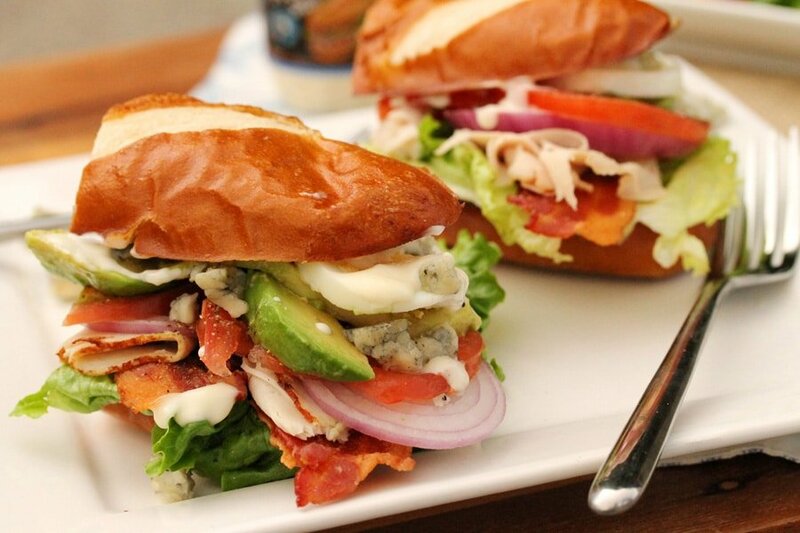 On top of each half roll (on the toasted side), add blue cheese dressing (or your favorite dressing). 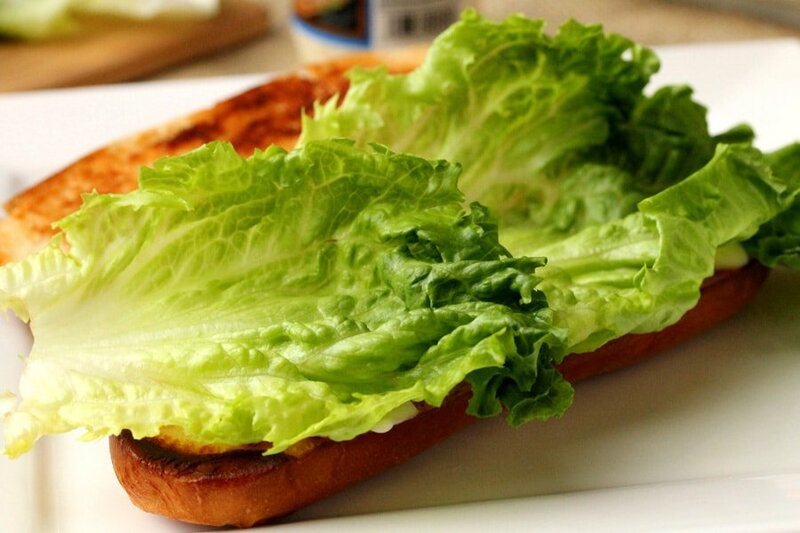 On top of 2 halves, lay the lettuce leaves. 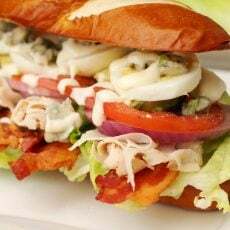 On top of the lettuce, add a layer of the bacon, turkey, onions, tomatoes, pepper, avocado, egg, and crumbled blue cheese. Top with drizzles of salad dressing. 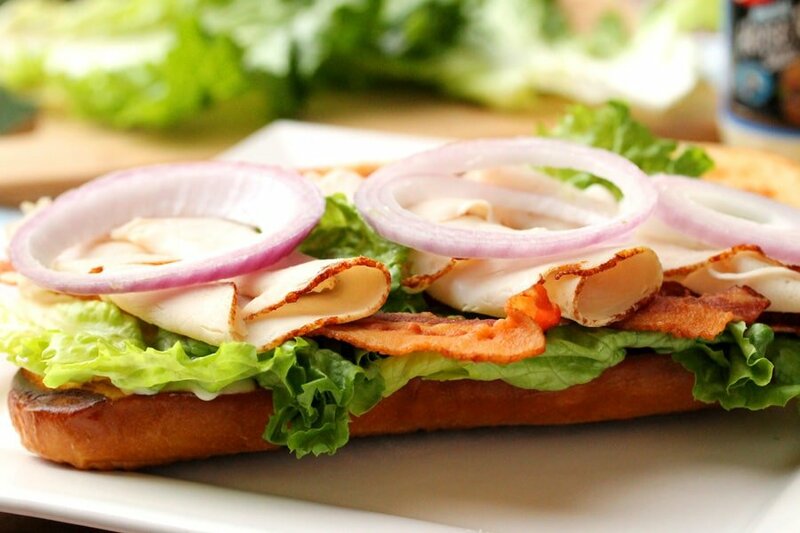 Top each sandwich with the remaining halves of bread. 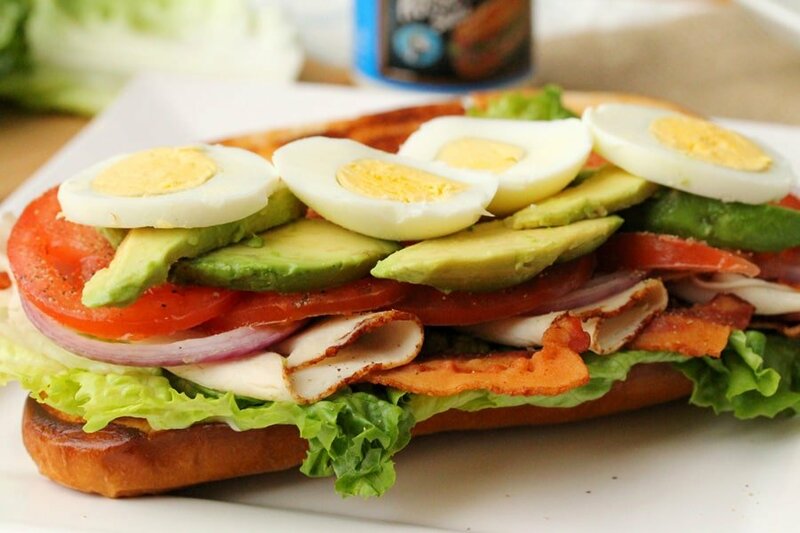 Cut the sandwich in half and serve. 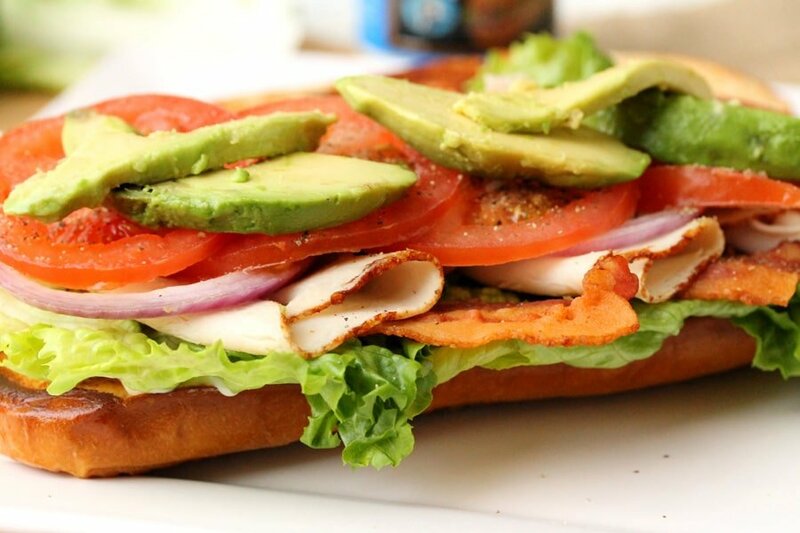 I saw this sandwich and I’m making it tonight. It looks soooooo awsome! Hi Diane, so glad you like it. 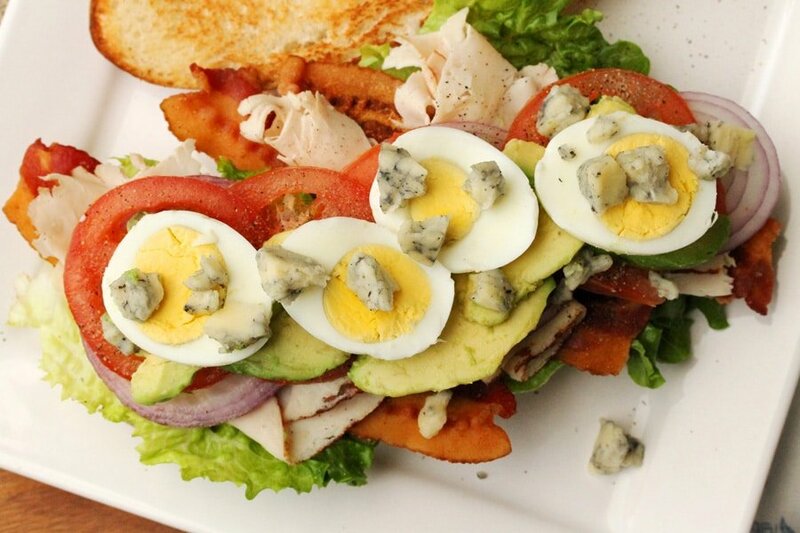 I love Cobb salads and this sandwich hits the spot. Have a great day. How deliciously different this is! 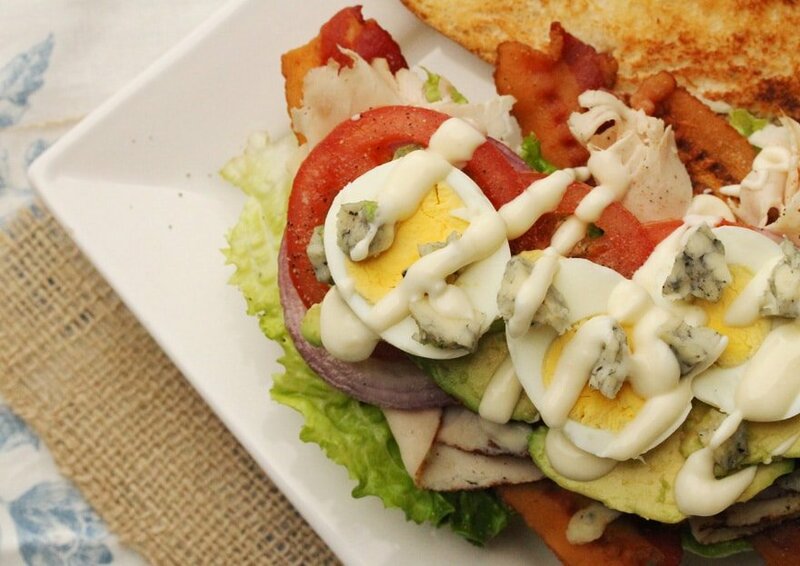 Great, making a healthier sandwich out of all the ingredients in a cobb salad-yum! 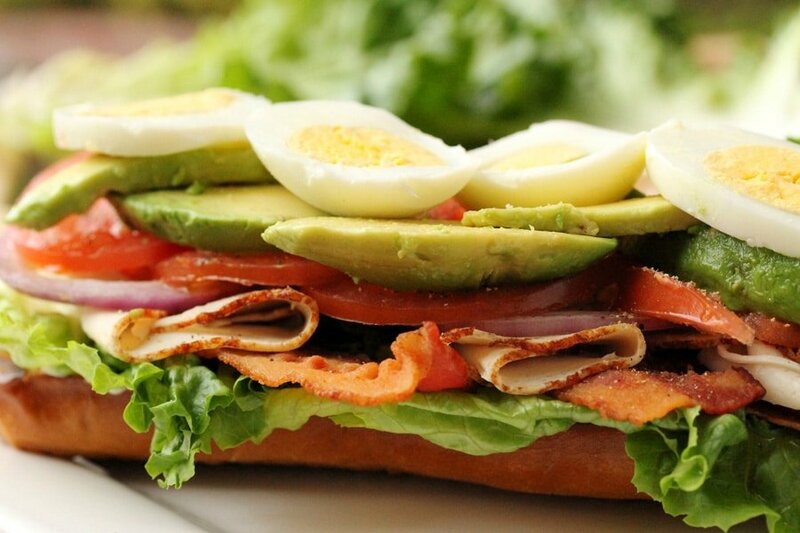 If this was at the deli I would surely buy it, but even better I need to make it. Thanks for sharing this one! 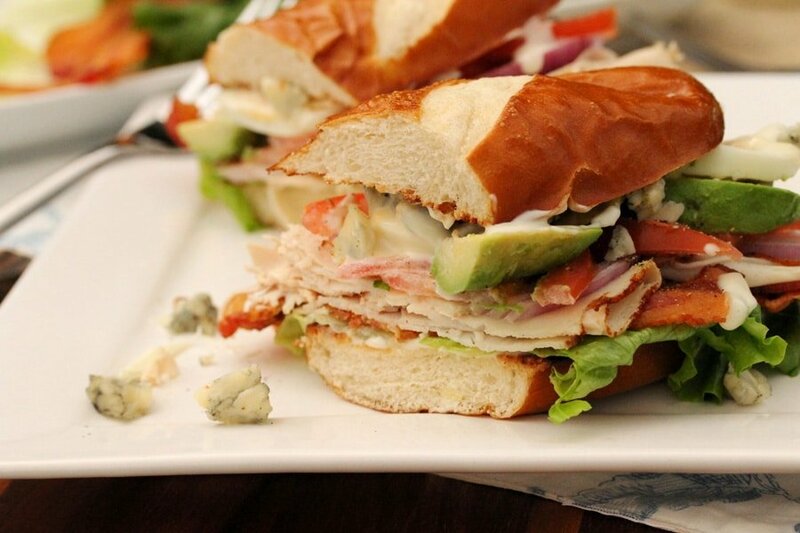 Sounds like this sandwich might be fun for your boys…it can get a bit messy to eat but that’s fun too! Hi Raquel, thank you very much. Have a great day! OMG! 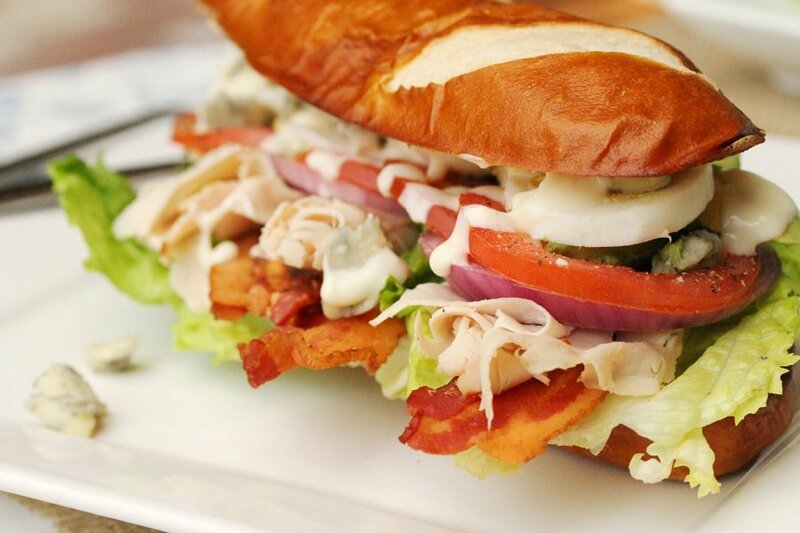 This looks sooo delicious! Lovely pics! Hi Gursahiba, thank you very much!